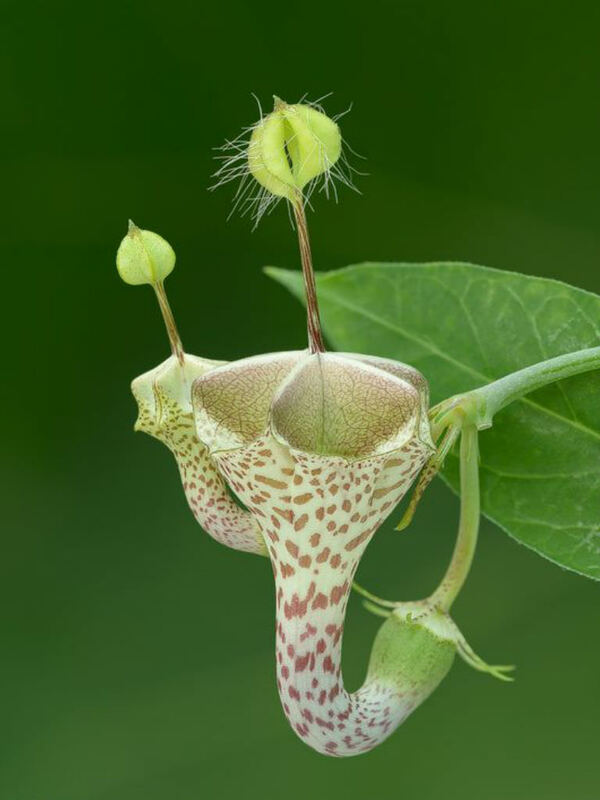 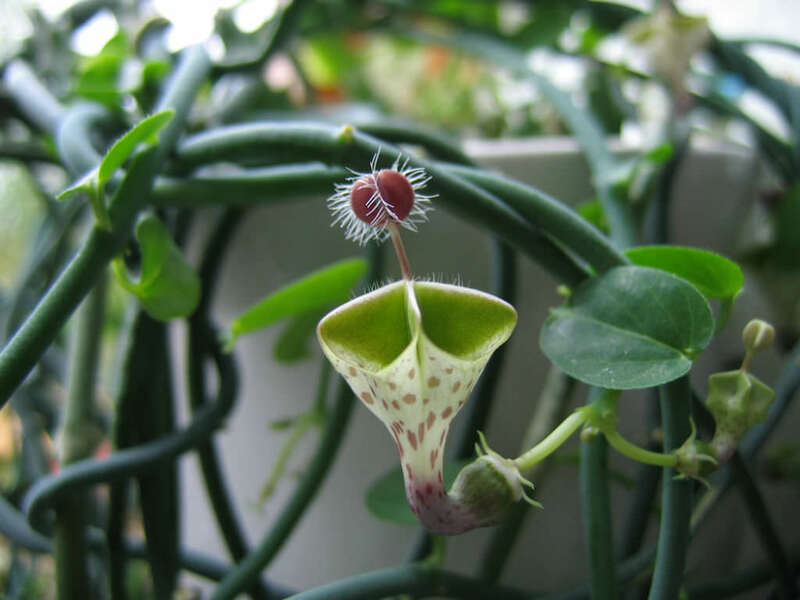 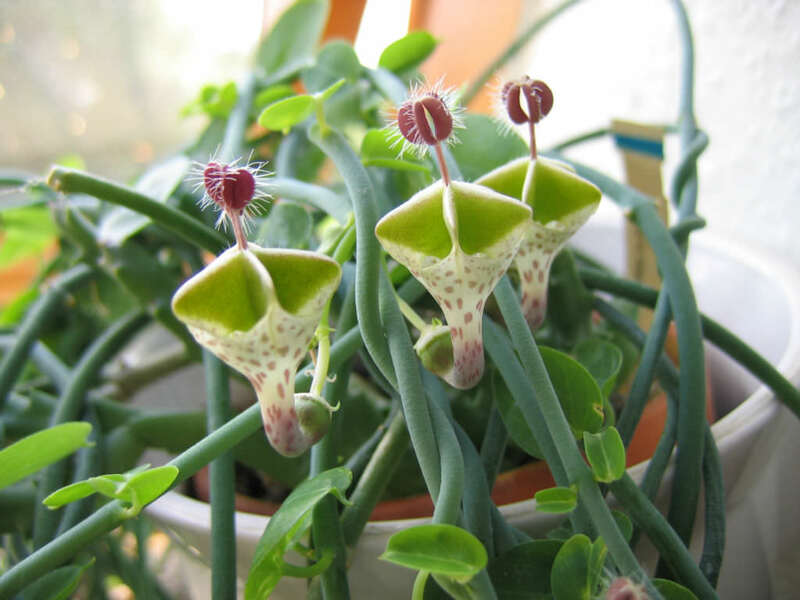 Ceropegia haygarthii is a semi-evergreen, strong growing, twining, stem succulent, with small ovate leaves. 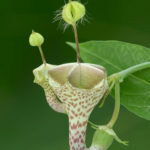 The stems are climbing or trailing, fleshy, green, covered with a glaucous bloom, up to 10 feet (3 m) long and 0.25 inch (6 mm) thick. 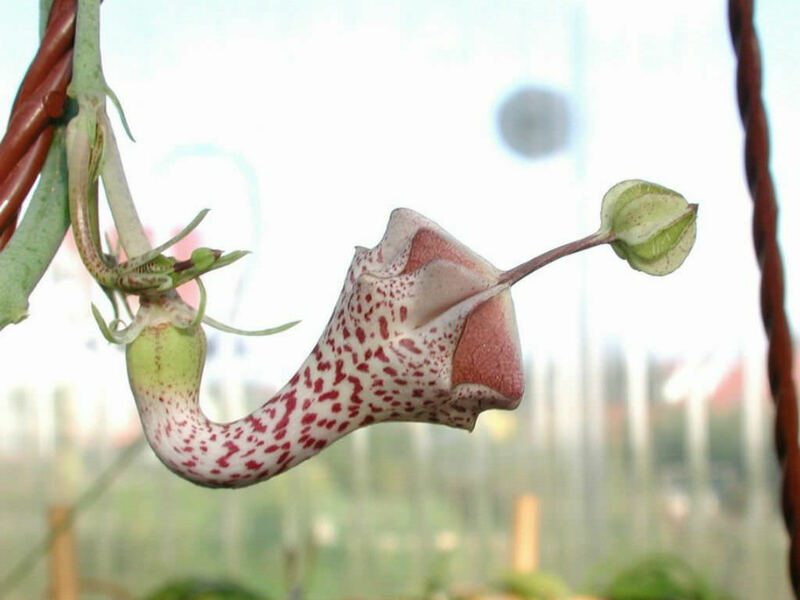 The flowers are up to 1.6 inches (4 cm) long and 1 inch (2.5 cm) in diameter. 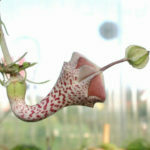 The tube is creamy are flecked with purple-maroon, swollen at the at base, curved upwards and expanding funnel-like. 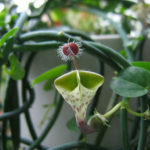 Native to Angola, Mozambique and South Africa.